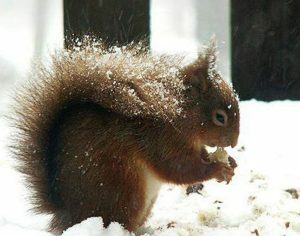 Snowfalls and frosts, short cloudy days and long nights. True winter. 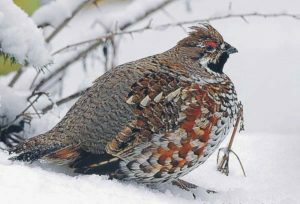 On the trail in the snow, hunters unravel the hidden lives of birds and animals. Turning into experienced trackers. Bears hibernate in a den, and find her under a thick layer of snow almost impossible. Only a specially trained dog can find winter shelter of the beast. 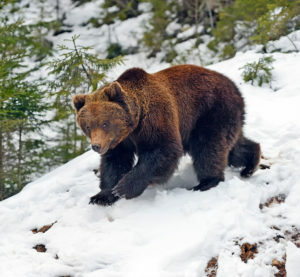 In this month of the year to hunt for the den, after on the trail and bust. If around the dens lies deep impression, then doing a special ski path from the lair to the room. Cold winter nights the wolves are close to settlements and to catch dogs and cats, and also into the barn to the sheep. So hunting a wolf for the residents of sparsely populated areas is self-defense. 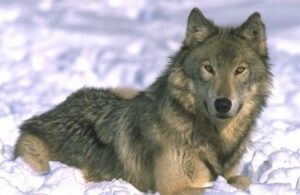 The most effective and common method of winter hunting wolves is battue hunting with flags to the bait. Privada is necessary to well-fed animals are not far from the place of lodging. The hunting of the hare after the first snow, interesting and exciting. While the snow is not deep, can be tracking. During tracking is required to meet the hare loop and twos or even threes. All this hare comes up with in order to confuse walking on his trail hunter. 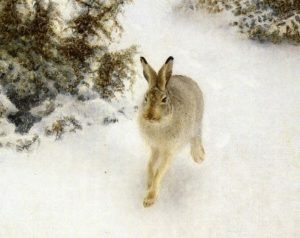 Therefore, you need to be a skilled Ranger, to learn to unravel the secrets of the hare. After a few such surprises, the hare gets to maturation, so you should be ready to fire. Protein with the onset of snow and cold weather, often comes out from her hiding place a long time, so no huskies, hunting will not be profitable. 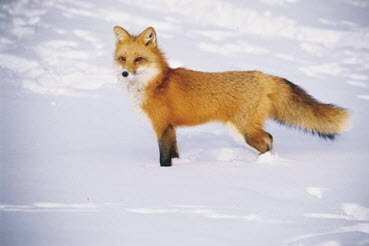 After a heavy snowfall, when the main item on the difficult Fox tries to keep at avragim themam. This winter hunting hunting boxes, hunting for the salary. 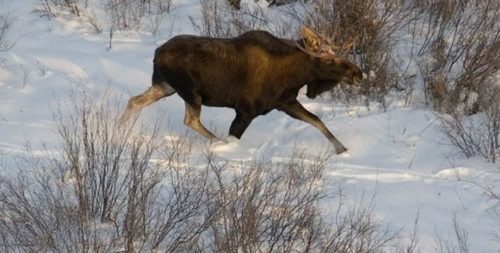 Deep snow limits the movement of elk, so they tend to stick to winter camp, aspen and willow in the undergrowth. Moose hunting is the same as in November. 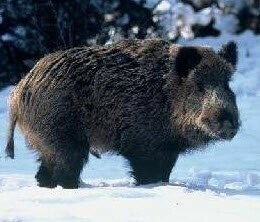 In December, the boars began a period of mating for males are serious fights for possession of the female. Getting in the way of the boar this time – very stupid. We should strive to pass it past him and shoot under the shoulder blade or spine. 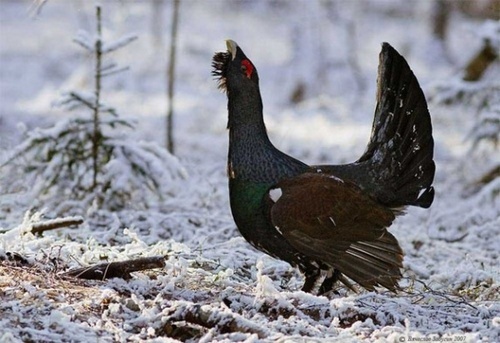 In winter, grouse will fly in remote forest areas where a lot of food. Hunting is a surge and approach. 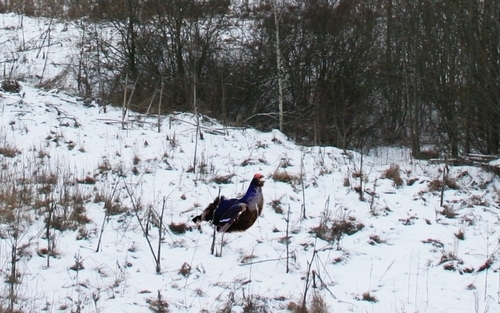 Capercaillie in December, held in the timber lining, so find it is not easy. Is to hunt deep snow with the huskies. Grouse most of the time in December hiding in the forest. And only in the morning and evening for flies feeding, here it is possible to ambush, hiding in a hut and has placed a Scarecrow.